A RCRF bibliography, hosted by the Römisch-Germanisches Zentral museum For schungs institut für Archäologie. Bibliography on crafts and manufacturedproducts in antiquity (since 1996). The ultimatebibliographictool for archaeologists. Quiteexpensive user licence, but researchers are allowed to browsedyabola free-of-charge once per year : use the « get a demo-keynow » link on the « web-access » section). Library of Congress, Washington D.C., U.S.A.
Persée : programme de publication électronique de revues scientifiques en sciences humaines et sociales. Lots of download-free articles of major French publications. 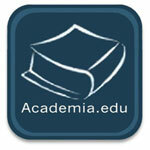 The leadingresearch-sharing academicwebsite, wheremanyarcheologists propose their articles in download-free pdfs. Thousands of pre-1930 books (no more under copyright) in online digital version and download-free pdfs.